The planting of the Great Commission Church in the Dominican Republic started to take shape when pastor Carlos Gomez and the Irias family make a second exploratory trip on July 2012, there God clearly showed that His will was to start the project of planting a church and this would begin with the moving of the Irias family. God showed us his grace in the annual GCLA conference in San Pedro Sula when the announcement was made that the Irias family: Dagoberto, Sandra, Rebeccah, and Samuel would be moving on April 10, 2013. 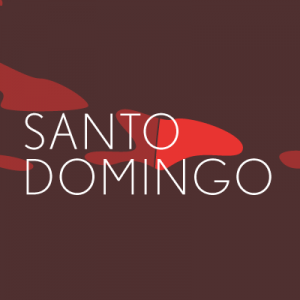 We got to Santo Domingo on a Tuesday, April 10 at 7pm. A group of Dominican friends, angels that God sent to help us start this journey, where waiting for us, to take us to the apartment they had found for us to live. On Friday August 30 of the same year, God promptly added to the planting team Merphran, Gaby and their three girls, Vicky, Danna and Abigail. With their arrival we used the opportunity to promote the communion amongst the people who had been coming to the small group, we used the welcome party and also celebrated Merphran’s first birthday in the Dominican. It is a blessing and a challenge to see the people we are inviting to grow in the knowledge of God and to start taking decisions based on biblical principles. For the grace of God we already had our first retreat with baptisms in the beautiful Dominican Caribbean and we even had our first wedding, it took place at our home. The challenge is to grow a planting team from the church that is capable, at the right time, to launch the church. This would imply to have a place to meet and all the proper characteristics that involve an attractive contemporary church for the non-believers. This is something we are praying for and we would like for it to happen before the end of 2014.